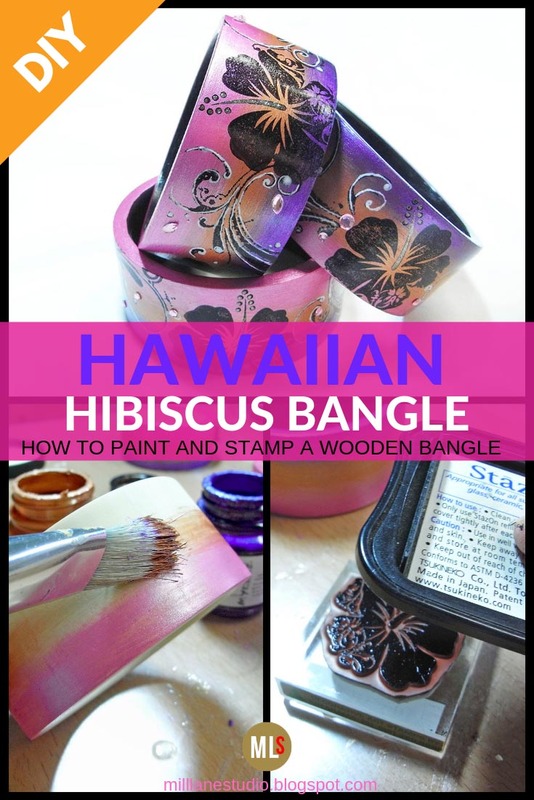 If you're daydreaming of a tropical island vacation but you just can't get away, then bring a touch of the tropics to your outfits with this DIY Hawaiian hibiscus bangle. With silhouetted tropical flowers set against the vibrant colours of the sunset, you start to feel like you're on island time. 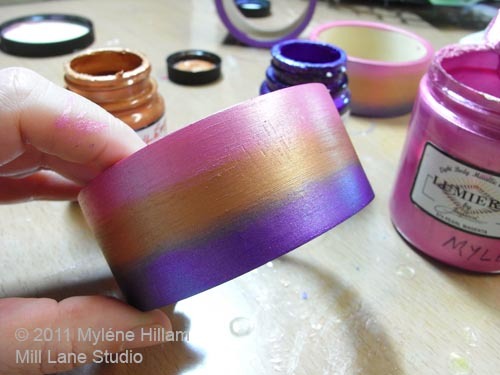 This tutorial shows you how to blend paint edges for smooth colour transitions and how to stamp on a curved surface. 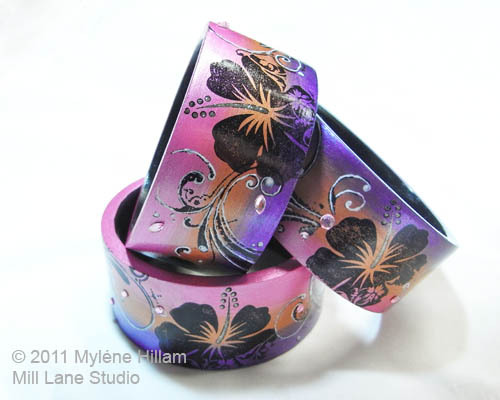 By the time you finish this bangle, you'll be feeling the warm tropical air and cooling island breezes, if only in your dreams. 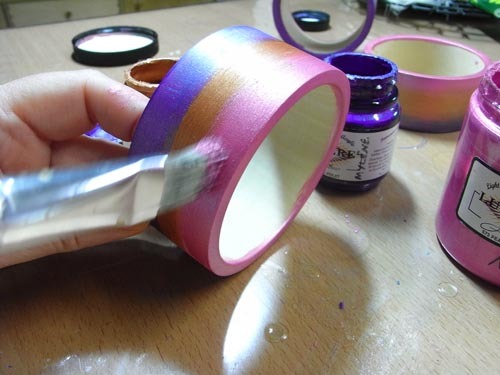 Begin by painting a band of Magenta paint around the edge of the bangle. I like to keep my coats of paint thin and apply several coats. I find this gives a better finish. 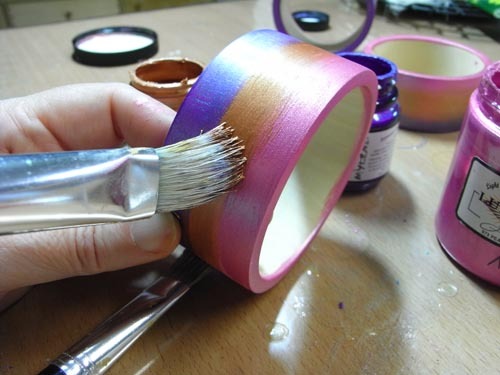 Using a clean brush, apply Burnt Orange around the centre of the bangle and blend the edge with the Magenta. Sometimes, fingers make the best tools! I like to get my hands into the paint! 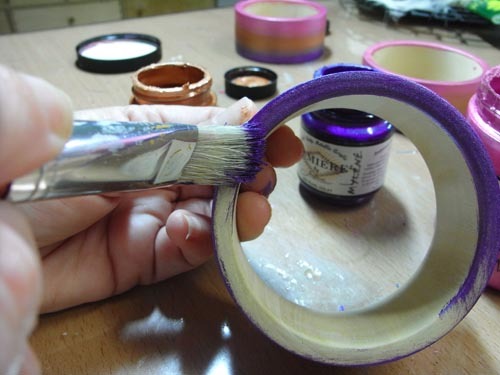 Using another clean brush, paint the bottom of the bangle with Violet. After one coat, it's a little patchy so it will need another thin coat. 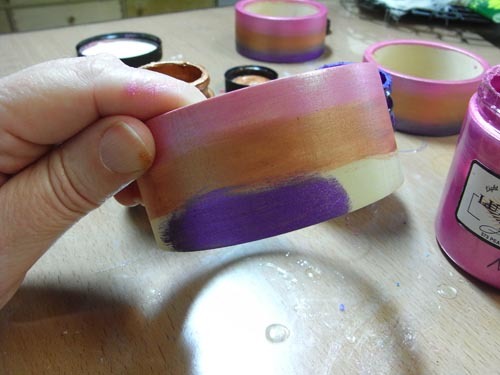 Paint the bottom edge of the bangle with Violet also. 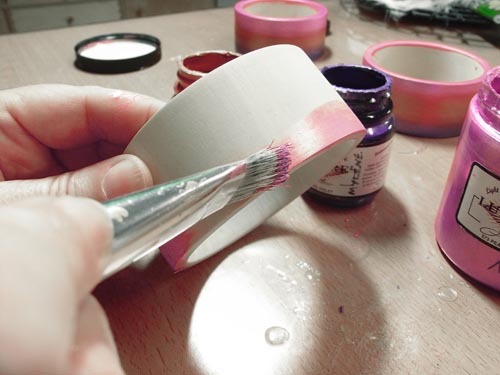 Paint the top edge Magenta. It's OK if you get paint on the inside - this will be covered up later. 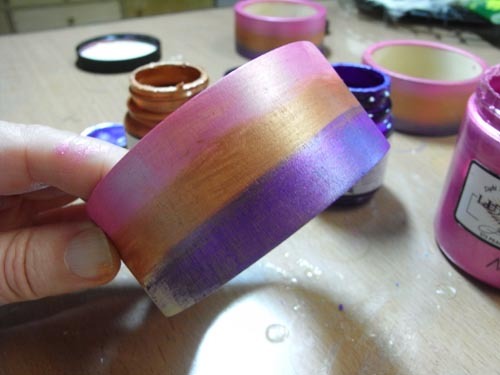 Paint the whole bangle with a second coat, blending the edges again. 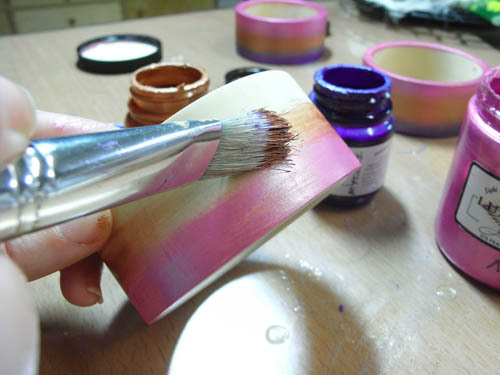 Work in small sections at a time so that the edges haven't had time to dry. 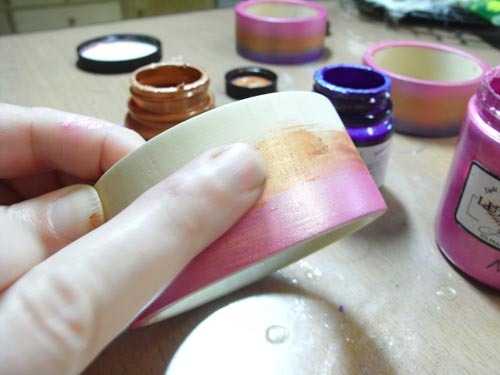 This will really give you a smooth transition between colours. A little bit of blur here. Sorry about that but at least you can see me blending the edges between the colours. Notice how there are no harsh lines? 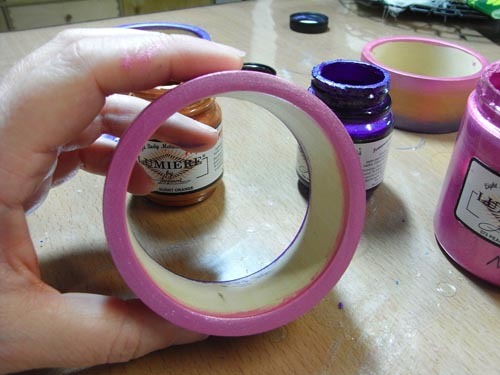 Leave the bangle to dry completely. 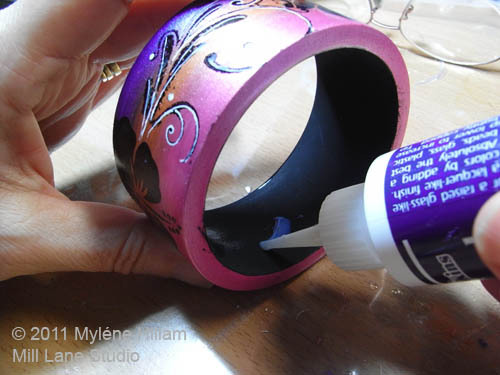 To stamp on a curved surface like a bangle, you need to ink the stamp and place it face up on your workspace. 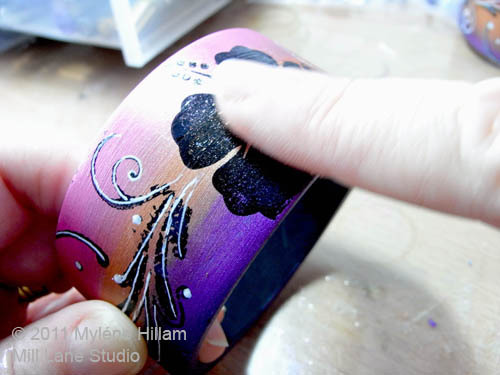 Test stamp your image on paper before you stamp your bangle and if it's not inky enough, apply reinker to it and let it sit for 5 minutes before stamping. 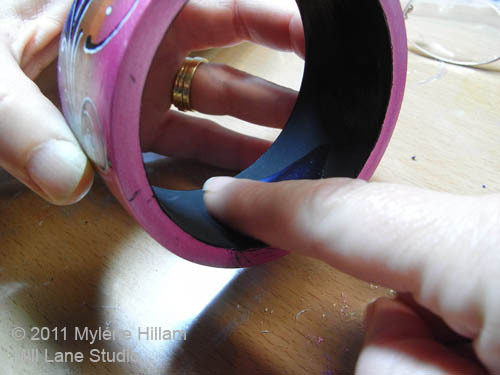 Then line up the bangle with the stamp and roll it across the surface of the rubber. 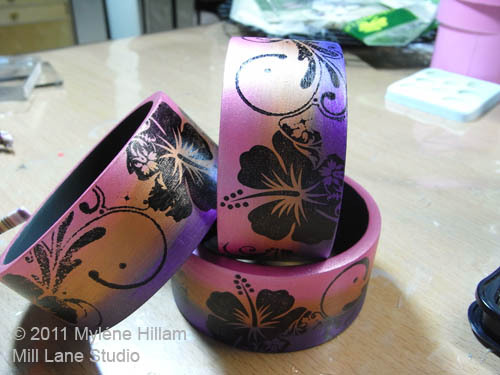 Continue stamping around the outside of the bangle, alternating between the hibiscus and the flourish. I only inked up part of the flourish so that I could fit in 3 hibiscus flowers. 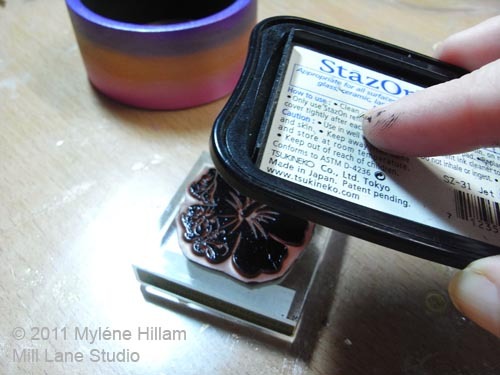 StazOn ink dries really quickly so it will be only a few minutes before you can move on. 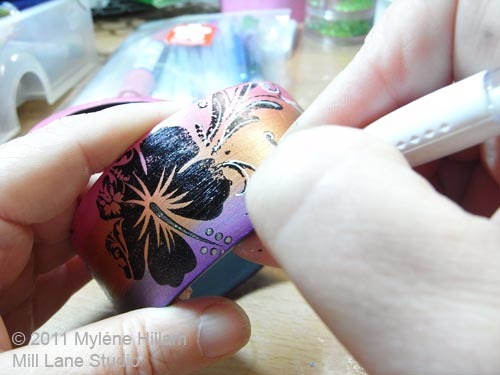 Using the Gelly Roll pen, highlight the stigma of each hibiscus. 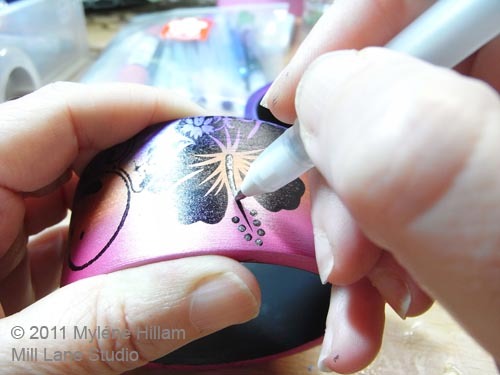 Taking care not to smudge your work, highlight the flourishes with the opaque white pen. The trick to being successful when using the pens on the painted wood is to draw lightly. 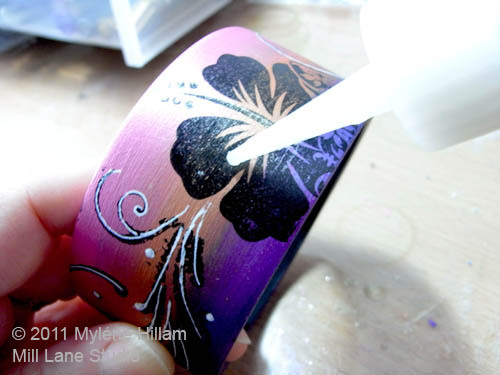 Avoid pressing hard or drawing too slowly as this seems to prevent the ink from flowing smoothly. Allow the ink to dry completely before moving on. I left mine overnight. 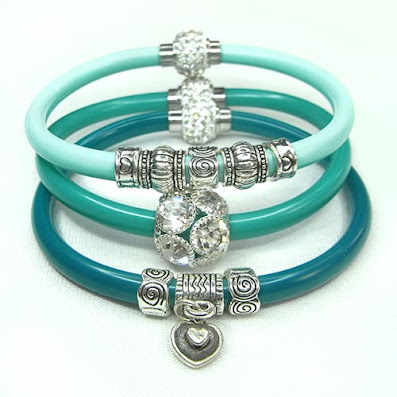 To protect your bangle, apply Diamond Glaze in a thin coat. Work in small sections at a time so that you can smooth it out. I told you, I love to use my fingers as tools! 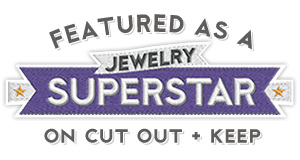 They will do a great job of smoothing the Diamond Glaze out, without leaving brush marks. 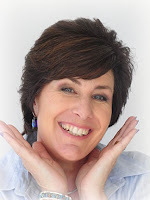 And it's a whole lot easier to wash your hands than to wash it out of a brush! 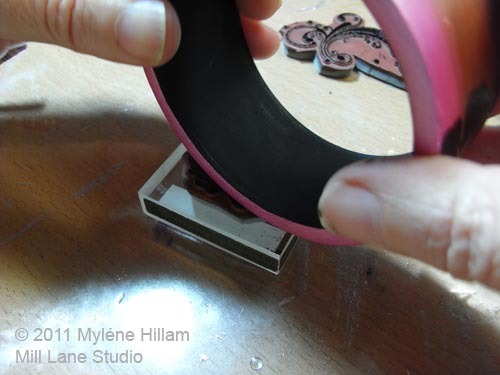 Once the whole bangle is dry, add some pink crystals or acrylic gems. 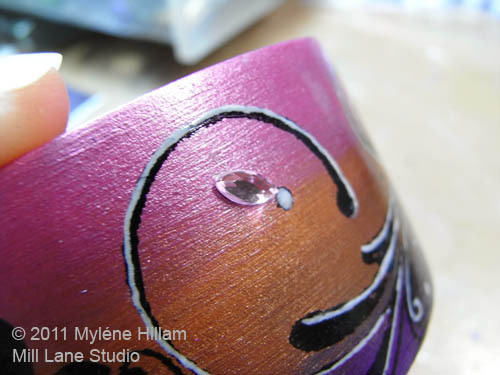 I've found the adhesive backed ones stick quite well to the glossy surface without adding extra adhesive but if you want to make sure your bling stays put, then apply a little dot of Diamond Glaze behind each one. And you're done! 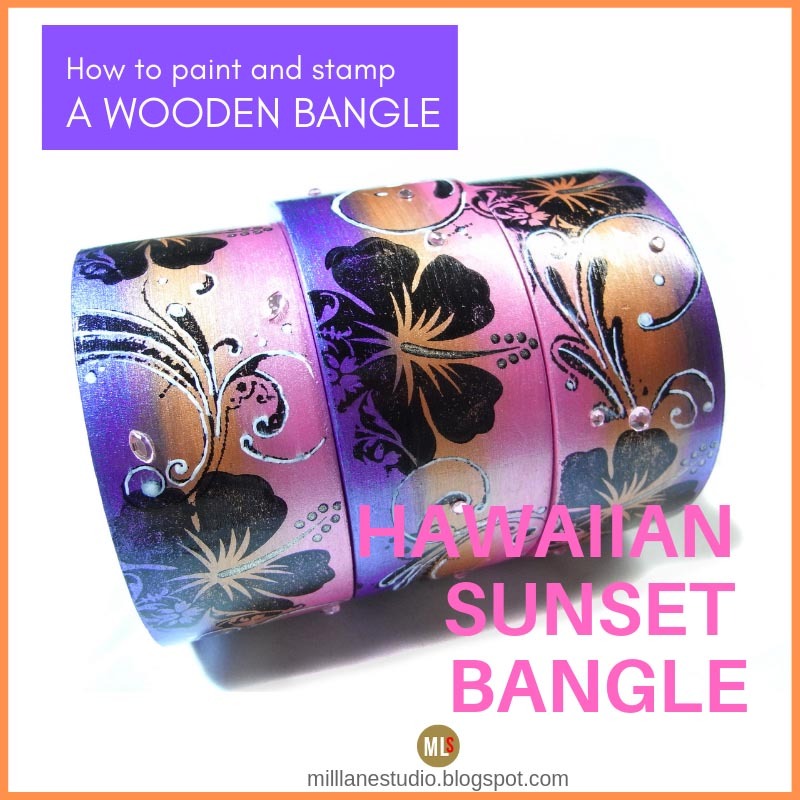 One very tropical Hawaiian Sunset bangle. Wow!! That is totally cool. Thanks for sharing. 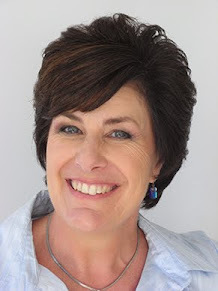 You're welcome Terri. Thanks for stopping by!